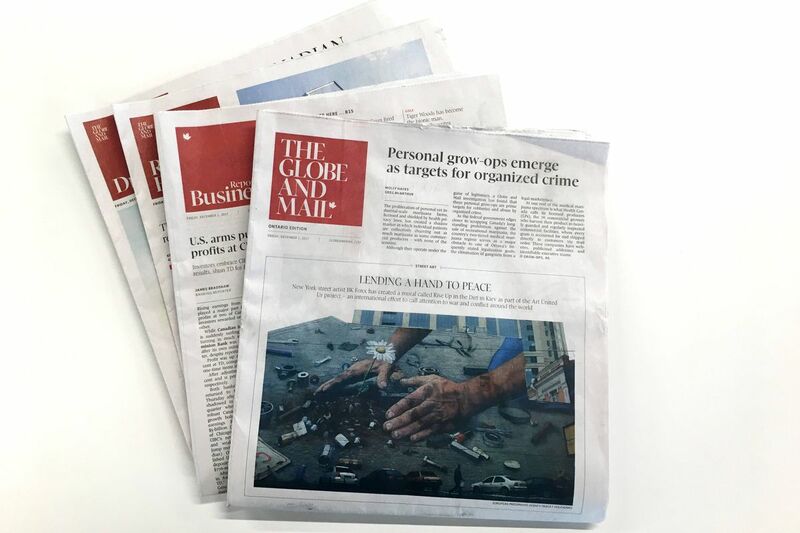 Last weekend The Globe and Mail launched its first major redesign in seven years. Six months of planning; stockpiling stories and investigations to put our best foot forward in support of our new look, which is all about elegance, white space and great visuals. And, on our first big new Saturday edition, the worst production problems we have seen in years beset the Vaughan, Ont., print plant of our wonderfully dedicated print partners, Transcontinental. So, instead of being finished printing our Ontario edition at 3 a.m., we were switching to another press that we don't normally use. That meant half of our customers in our biggest market received a paper that looked nothing like we intended. Don't blame Murphy – this was Sod's law at its most malign. Thousands of complaints and endless apologies later, we have listened to the feedback and marvelled at the conspiracy theories – like the reader who suspected we had chosen to deliver poorer quality papers to less desirable demographic groups! So, we promise – we won't place the crossword where it sits across the fold (check out our big, beautiful new Pursuits section for that); and we have bumped up the size of the type in our sports scores and our stock listings. Please don't think we are trying to drive you to digital from print by making the type fainter or smaller. The type size is bigger than it was in November, but the page width is one inch narrower, and the lines are justified, not ragged right, so the optics are different. Give it time. And enjoy the rich reading in our new Opinion section today. What matters most to The Globe is the quality of the content we deliver, whether you're reading the paper, or our fast new apps, or our beautifully designed websites. Our commitment to producing top-class, independent journalism doesn't differ with design. And this past week we have kept up our reputation for driving positive change for Canadians – witness the response of the Ontario government to the revelations by our investigative reporter Kathy Tomlinson about unfair treatment of accident victims. That commitment – to deliver journalism that matters – is unwavering. Thank you for your feedback, your interest and your support.